There would be a point on your wedding planning that you would feel that you are already on your wits end. Sometimes you just need to step back and relax a bit before you start to plan again. And Claire Coulson gave some tips on just how you could have a great wedding. 1. Keep an open mind. Often, women have a very fixed idea of what they want and can then be disappointed when they can’t find exactly that. It’s an occasion that happens only once in a lifetime (hopefully) and because of that you are thrown into a situation that you have never experienced before. Very often something that you think is “you” invariably isn’t because of the pressure of the situation. It’s good to know what you want, but for a wedding dress it’s important to be open-minded and consider other ideas. 2. Invest in perfect underpinnings. A tall, athletic girl can wear a backless dress and all she will need underneath is a pair of seamless knickers, but many girls need more. We often recommend that brides have a specialist bra or corset made. We have a corset-maker who can make a corset to which the dress attaches. There is nothing worse than feeling uncomfortable, worrying that the dress is going to fall down and spending the whole day hitching it up. 3. Have your dress fitted properly. Just as a well-fitting bra makes a big difference to your posture, so does a well-fitting dress. I find it fascinating when I see girls dressed in jeans and trainers who, as soon as they put on the right dress, gain composure. A good dress and a good dressmaker help you do that. You don’t want to slouch up the aisle. 4. Make sure the dress matches the wedding. The style of dress very much depends on the venue and how the bride wants to feel. Brides often want a slinky, strapless gown but all their girlfriends will probably be in slinky slip dresses. And you don’t want to be mistaken for a guest. Try a big dress and see how you feel in it. Today they are more lightweight and less cumbersome than they used to be. 5. If you’re on a budget, keep it simple. Spend your money on good-quality fabric and a dress that is well cut. Buying a vintage dress is a way to get beautiful fabric without the cost of a contemporary designer (have it adjusted to fit with a good dressmaker). Sample sales are good places to pick up dresses with large discounts. Buying something off the peg from ready-to-wear collections also saves a lot of money. Chloé always has beautiful white and off-white summer dresses that you can dress up with jewellery, and Roland Mouret’s bridal range starts at £1,600, which is good value for money if you want to make a real impact (from net-a-porter.com ). Arabella Preston is a make-up artist. She works on fashion shoots and with high-profile brides including the Duchess of Cambridge, who had lessons with Preston ahead of her wedding. gorgeous, glowing skin everything else falls into place. 2. Keep make-up light. I always spend the most time getting the base perfect and, most importantly, keeping it light. I use Nars Pure Radiant Tinted Moisturizer (£28, narscosmetics.co.uk ). It has SPF30 so is great for a summer wedding if you’re going to be outside, but it’s also light and hydrating – it’s a good youth-boosting foundation. You don’t want to look like you’re wearing a mask of foundation. do what we call “tight-lining” on the eyes – getting eyeliner right into the roots of the lashes. It doesn’t look like a liner but it gives you definition. Brows are important too – make sure the arch is defined to give a little lift to the eye area. 4. Hair is important and, in many ways, harder to get right than make-up. The best styles are just a tweak of what the bride might usually do with her hair. An “undone up-do” – a loosely swept-up style that has hold but also enough movement that you can let your hair down for the evening – always works. It’s also worth remembering that anything too structured and severe can be ageing. 5. Choose your make-up artist wisely. When I do someone’s wedding make-up I’m with them for the two hours before they get married and it’s usually just them and their mum or best friend. It’s very personal and intimate. Brides should look for someone who is calm, who they like and who is discreet. If you can find someone through personal recommendation it’s usually the best way. Have a trial beforehand, and if you are not 100 per cent happy, then try someone else. 1. Long tables are better than round ones. The most important thing is that guests enjoy themselves, which is why I’m against tables that are too wide for people to talk across. For the same reason, I don’t like flower arrangements that are too high: you need to see each other, pass the food round, interact with those around you. Round tables can feel quite corporate, whereas long tables can add to the visual excitement and the feeling of a special “feast”. 2. If you’re serving food late into the evening or at night, be sure to choose energy-boosting snacks. You need to keep food nice and straightforward later on. We do Welsh rarebit, which is hugely popular, and bacon buns or even vegetable pakoras. Chocolate brownies are also a really good sugar hit and get everyone going. 3. Save money on equipment and staff. One way of cutting costs is to limit the number of plates you use. You can do a vegetable starter such as artichokes and vinaigrette, then go on to the next course without changing plates. Sometimes we just serve one course and do away with the starter. The equipment hire is a big expense, and it also means more staff. 4. Traditional menus needn’t be dull. There’s nothing wrong with the classics – I love poached salmon and a salad. You want crowd-pleasing food. Roast sirloin, new potatoes and horseradish, served on platters, make everyone happy. We also do piles of quails. Sometimes people think it sounds complicated and worry whether their guests will like it, but I find that if you give them good food – even something they don’t usually eat – they really enjoy it. 5. Sometimes formality is best. I love a table plan. It takes away all the stress for guests. They are comforted by being told where to sit, they can be near partners but also next to friends and strangers, meaning they work a little harder and meet new people. It works for people who know everyone and for those who don’t know anyone. And it’s always good to mix everyone up. 1. If you can afford it, hire a professional. People don’t realise how much work it is doing your own flowers – you need to do the buying, storing and the arranging itself, which is a huge effort. Flowers can die fast if they are not looked after properly. If you can’t afford to use a well-known florist, a local one can do the job. Colour is the most important thing: find a florist who creates subtle colour combinations that are more natural and gentle. A busy, functioning florist, like ours, which doesn’t only do weddings, will be cheaper. 2. Create arrangements with personality. If you’re determined to do your own flowers, then choose plants or do pots that you can plant up in advance. Pot them in vintage containers – zinc dollies, old wooden crates, distressed urns, all of which you can find easily at second-hand shops. Or just use jugs and tureens from the kitchen. Chunky silver candlesticks from eBay look great in the mix, and they don’t cost much. 3. Mismatching is more modern. We vary the sizes and contents of the bridesmaids’ flowers. The overall tones all blend together but the subtle changes make a big difference. If they all carry the same thing it can look very dull. With ours, all the “evenness” has gone out of the window – it’s much more about one of this and one of that, flowers that feel as if they are grabbed and gathered rather than a “ball” of roses. 4. Go for unusual colour combinations. At the moment there’s a revival of peachy and apricot tones rather than the traditional wedding pinks. Pair apricot flowers with really dark violets and blacks such as ruffled ranunculus or with pale-blue delphiniums or lilac scabious. Poppies and dahlias are also really good for offbeat colours. For tables, the most simple and cost-effective thing is to have clusters of salvaged bottles, each with a few garden flowers – delphiniums, cornflowers, verbena and scabious mixed with lavender and mint. The trick is to cut the flowers at different heights. 5. Have an idea of what you want, but be flexible. So many people now have Pinterest boards covered in references but often the images are from America and Australia, where the flowers are different to the flowers we have here. You can’t have huge dahlias in January. Give your florist an idea of what you want but listen to their advice about what may or may not be available. make it whatever you want. A good event is all about the flow and not having moments where guests are standing doing nothing. Don’t get married at midday and then drag out the day over 12 hours – this is why most people feel that going to weddings is a chore. Your guests should be left wanting more, not wishing that they could go home early. 2. Liven up the evening with the unexpected. Sometimes we do pudding as canapés. Everyone goes into a pretty “pudding room” where you can cut the cake, then we bring out lots of miniature cakes and tarts, which is good fun, changes the tempo and makes it more colourful. Rather than serving coffee, you can do espresso martinis so everyone has a little lift when they’re probably flagging. 3. Good lighting is crucial. Lighting is much more important than flowers. You can have the most amazing flowers, but if you haven’t lit them properly it’s a real waste. You can transform any space with good lighting and candles. 4. Hire your staff from central casting. People love good-looking waiters. Yes, it’s more expensive when you hire staff from a specialist agency but they become a talking point. And you can use them to do other things. I once used two men to stand outside with shears and chop down people’s place cards from a seating “tree”! And I have had girls dress up as usherettes and go round the room offering cigars. It’s cheeky, kitsch and flirtatious. 5. Keep children occupied. Children can get rather bored at what is essentially an adult event. Get them involved in the day and help them become part of it with age-appropriate activities. If there are children who are part of the family, give them a particular role in the ceremony. At the reception, I’m a fan of giving them a miniature version of what the grown-ups are having on a mini-table. Don’t put children in another room or in a separate space – you’ll end up with no atmosphere and two different events. A wedding is a very important part of celebrating a couple’s union. Bride and groom exert all effort they have to make sure everybody enjoyed and remembered their big day. 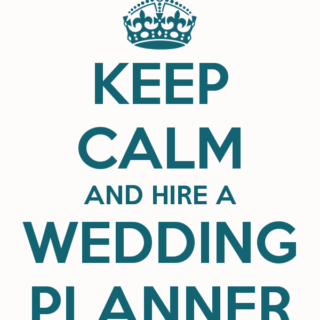 And with this in mind, hiring a wedding planner is usually a good thing to do when you plan a wedding. Here are some other reasons why have to do just this. Weddings are stressful; from deciding on the venue to whittling down the guest list, it can all leave you feeling totally overwhelmed. When you’re researching wedding planners look out for someone local so you can meet face to face. Also, ask if you can speak to brides and grooms they have worked with for reassurance. Once you’ve picked out your perfect dress, hiring a wedding planner will ensure you have a worry-free day and you can enjoy it as much as everyone else! If you and your partner work long hours, it can be hard to fit in all the planning that needs to be done. 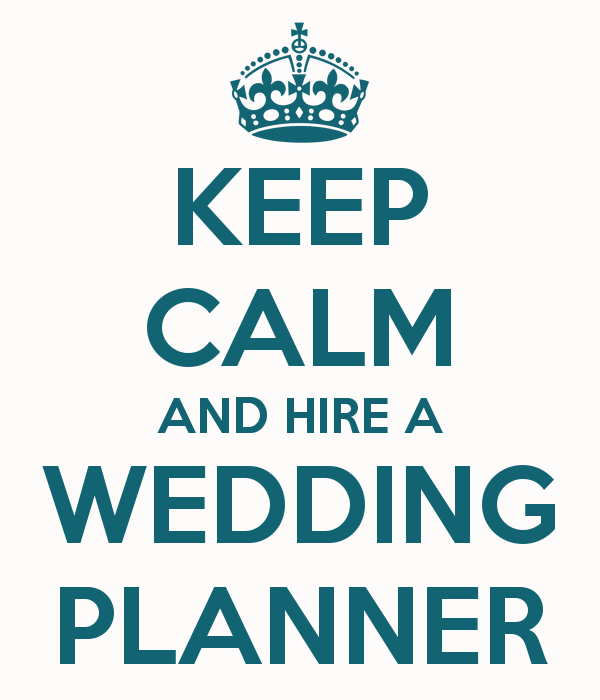 A wedding planner can schedule your meetings for you and some will even attend on your behalf if you want them to. It’s their job, and they’re very good at it. If you’re planning to tie the knot in another country, it can be difficult to organise suppliers that you know and trust. Choose a wedding planner who has experience in organising weddings abroad and be sure to read feedback about the planner’s previous experience. According to The Telegraph, a poll revealed that the average UK wedding now costs more than £18,000. With this in mind, the budget is one of the first things you should consider before planning your wedding. 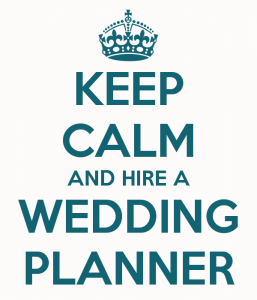 If you’re already worried about controlling it, a wedding planner will be able to advise you on how much things should cost. Roughly what percentage of your budget will be spent in each area and inform you when payments need to be made so you never miss a deadline. See them as a wedding financial advisor. Some couples worry that the wedding planner will take over and plan the wedding the way they want to, but this isn’t the case. They will work with you to ensure your vision comes to life and you get the big day you’ve dreamed of. They’ll be able to offer you inspiration and advice, and may even come up with ideas you haven’t thought of. We love looking at Infographics as much as we love weddings. It gives information using colorful graphics and pictures. 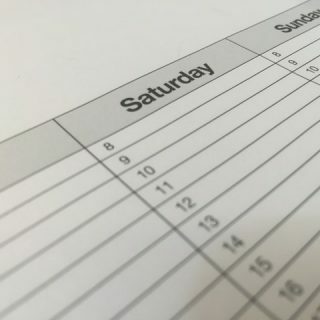 And when we come across one which talks about the 12 month checklist every wedding couple can follow planning their wedding, we cannot help but make an article and share. 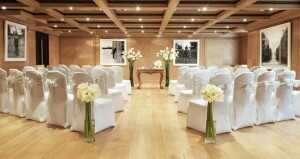 Pick a Date – The best venues will be booked up at least a year in advance so it’s never too early to make a booking. Generally, Saturday and Sunday dates will be the most popular so book straight away if you want one of these days. Midweek dates will be less popular and, hence, less notice is needed, but the sooner you book – the greater your choice of venues will be. Set your Budget – Once you have decided upon the type and style of wedding you can start to make a list of items together with an estimated cost of each. 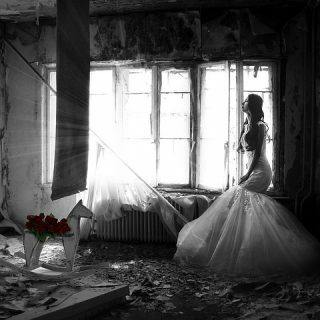 Consider taking out wedding insurance, things can go wrong so prepare for the unexpected. Choose your Attendants, Best Man and Bridesmaids – Your choice of attendee will make all the difference to the success of the big day, so bear this in mind when making your choice. You need people who are organised and reliable, not just people who look good. Make sure everyone knows their responsibilities to ensure that the wedding day runs according to plan. Choose a Photographer – The best people tend to be booked well in advance so don’t hang around! Picking the right wedding photographer is critical and you should try to get a personal recommendation if you can? The British Institute of Professional Photography has 3,500 members. You can search their database for a qualified photographer in your area. The Society of Wedding and Portrait Photographers also has a list of members for each part of the country. Choose Musicians/DJ for the Reception – Ask for details of events they have worked previously and ask for testimonials. There are a few booking agents that cater for weddings – this can usually prove to be the safest route, as they will have a list of tried and tested people on their books. Book the Florist – Flowers are an important part of the day – they define the colour scheme and theme of your wedding. Find out in advance which flowers will be in season and enlist the help of a good local florist – the event manager at your venue will probably be able to recommend one. As well as decorative flowers for the venue/church, think about your bouquet, the bridesmaid’s posies, any headdresses, corsages and buttonholes. Order Stationery – Have a good look around and get samples to take home. If you fancy something a bit special, there are a few designers specialising in hand made and custom wedding stationery which are well worth checking out, but remember to allow more time. Choose your Wedding Rings – Look on the internet first to get an idea of what you want before you traipse up and down the high street. Order the Cake – The wedding cake has always been the focus of any wedding and the number of designs available can be overwhelming. Try to find a supplier specialising in wedding cakes, rather than a general confectioner, and visit their premises to see the various styles available and get the benefit of their advice. Choose the Caterer – The catering may well be handled by your venue although you may want to use an outside caterer, in which case you need to book well in advance. Do your homework and ask for testimonials. Your Guest List – The tradition is to send out invitations six to eight weeks before the wedding, but you should start making up your list about now. It might be a good idea to let people know the date as soon as possible so they don’t book holidays or anything and then when you send out your formal invitations at a later date you can be sure they already have the date pencilled in. Arrange a Gift List – Have a look at a few services and try to find one that all your guests will be able to use. Retailers such as John Lewis and Debenhams allow you to set up your gift list so people can use the internet, order by phone or visit their local store. OK, it’s getting closer to the Big Day now. You’ve done the hard part – the next six months of Wedding Day planning should be a lot more fun! Sort out Bridesmaid Dresses – You may have done this when you found your dress, but if you didn’t, now is the time to do it. A good idea is to go for looser fittings now, with a view to having some alterations done nearer the day. Arrange your Honeymoon – Most of the operators have a dedicated Honeymoon service offering something a little more special than a normal package holiday. Arrange the Order of Service – Once you’ve chosen your music and readings, now’s the time to plan out your Order of Service. You can see an example of an Order of Service here. Send out Invitations This should be just a formality by now, everyone should have been pre-warned and be expecting your invite. 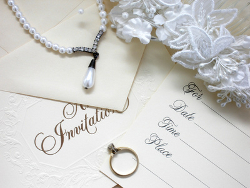 You need those RSVPs coming back to you as soon as possible so that you can finalise your details, so be disciplined. 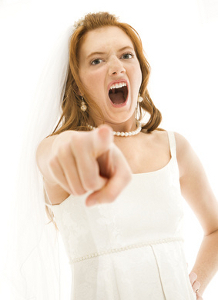 Traditionally, this is the duty of the bride’s mother but it is perfectly acceptable to do this yourselves nowadays. Buy Wedding Accessories – The cake knife, balloons, table decor and wedding favours. Check with your reception venue as to what they will supply and arrange on the day. Buy your Shoes and Accessories – Remember you’ll be on your feet most of the day so choose wedding shoes sensibly! Finalise Catering Plans – Your caterer or venue should be fully versed by now, make sure they have catered for special diet requests from vegetarians, etc. Arrange your seating plan so that the two families are intermingled but not to the extent where they are isolated from people they know. With a bit of thought and planning it should all fall into place. When you are fairly sure about your seating plan, check with the venue and caterer that they can accommodate your arrangement. Make your Choice of Wines – It is sometimes better to get your own wines and pay corkage to your venue then it is to buy their own wine. There is money to be saved here so do your research, charges will vary from venue to venue. As a guide, allow 2/3 glasses of Champagne or Sparkling Wine per person. Generally, reckon on 34 standard bottles per 100 guests. For wine, allow half a bottle for each guest, a regular 75cl bottle will fill 5 medium wine glasses. Chase up those RSVP’s – If people haven’t replied by now you will have to get on their case! Have a list handy of people you could invite at the last minute – just in case. Shoes – Start wearing your wedding shoes around the house The big day will take it’s toll on your feet so you need to break those shoes in! Hen Night – Between now and a week before, you should be having your Hen Party. Don’t leave it too late as you will need to be in tip-top shape on the day. The last thing you want to be doing is nursing a hangover! Talk – Have final chats with your Wedding Service Providers Check that everyone knows the numbers attending, seating arrangements, & who’s responsible for what. Iron out any problems here rather than on the day itself. Buy Gifts – A small gift on the wedding day is traditional for the bride/groom/bridesmaids/father of the bride, etc. Arrange Dress Fittings – You should arrange the final fitting as near to the day as you can, your weight will have fluctuated from month to month so now is the time to make those final adjustments. Try and get all the bridesmaids together at the same time for any last minute adjustments. Have the Rehearsal – The evening before the ceremony is the time when a lot of people choose do the rehearsal, often this is a Friday night, which is probably convenient for most of your guests. Notify your Change of Name – Write to your bank, utility companies, etc, to give notice of your change of name and address. Send your driving licence/car registration to the DVLA. Some of these will require a copy of your Marriage Certificate – which you get once you are married – but it’s a good idea to have the letters prepared in advance. The big day has arrived – Your hairdresser/beautician should be fully prepared so don’t worry, they do this every day, everything will be fine! Your bridesmaids, ushers and best man have all been briefed and prepared, it’s their job to do the worrying now! Relax, take a deep breath – it’s your big day now so enjoy it!